Republished from NY Times. Orig. pub. date: September 7, 2008. SURE, you can turn your iPhone into a Star Wars-like light saber, a virtual pet or an interactive mug of beer. But did you know that those newfangled applications can also tell you the nearest sushi bar in London, the wait time at La Guardia’s security checkpoints or how to say “Where’s the toilet?” in Cantonese? As Apple’s iTunes App Store continues to grow with hundreds of titles, the iPhone is proving to be a useful travel tool — and not just for when you’re bored on that 18-hour flight to Singapore. The best programs take advantage of the iPhone’s location-aware feature, tailoring the information to your whereabouts. Say you land in Baltimore and you have a sudden craving for crab cakes. With a few taps, iPhone apps with names like Yelp, Urbanspoon and iWant can quickly guide you to Faidley Seafood or Obrycki’s Crab House. Other apps can point you to the cheapest gas station, book a hotel and even call a cab. Below are some of the handiest apps for travel. Many are free, though some cost from 99 cents to $24.99. Warning: Some apps require data downloads that may incur roaming fees if you’re overseas. To avoid such fees, turn off “Data Roaming” and look for Wi-Fi hot spots. Getting There A number of airlines are creating mobile-friendly versions of their Web sites, allowing iPhone users to shop for flights, buy tickets, check in, select seats and modify reservations. Now, at least one, British Airways, has a free downloadable iPhone app that makes finding the next red eye to London as easy as flicking your thumb. Frequent fliers might want to download Flight Status ($3.99). 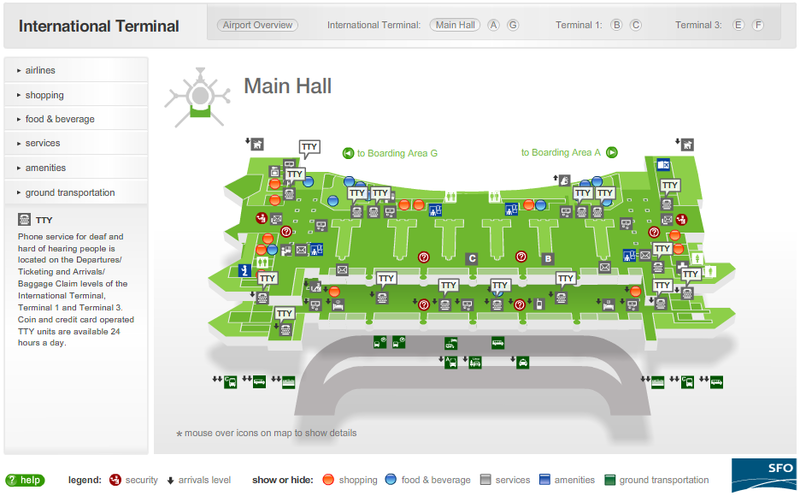 It gives the status of thousands of flights, as well as the arrival gates and baggage carousels. 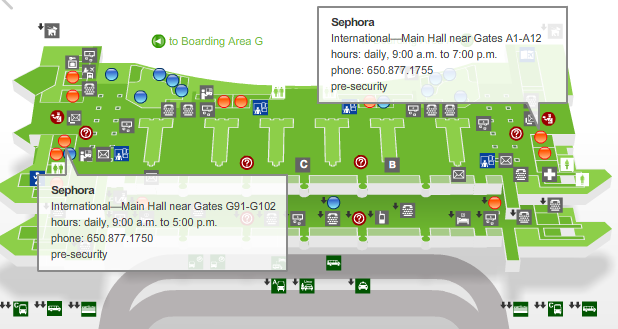 Another app that can be useful for today’s delay-plagued skies is AirportStatus (free). It displays a list of airports in North America with delays or closings. Travelocity (free) takes an all-in-one approach, letting you check flight schedules, gate numbers, security wait times and — if you booked through Travelocity — your itinerary. The app also lets you search for “Hotels Nearby Me” — a feature that could come in handy in travel emergencies (or, perhaps, for some other purpose). Where to Eat Looking for a place to nosh on the road? Urbanspoon (free) recommends restaurants in more than 50 cities using the iPhone’s location-aware capability and offers reviews from newspapers, blogs and fellow users. While suggestions (and prices) can be out of date, the fun and easy-to-use app looks like a slot machine and is activated by shaking the phone. Foodies, however, might prefer Local Eats (99 cents), an iPhone version of the guidebook series “Where the Locals Eat,” which ranks what it considers the top 100 restaurants in 50 American cities. Tapping “Near Me” finds places nearby from that list, along with reservation numbers and directions. What to Do Need an A.T.M.? Thirsty for a sakitini? Shopping for a Marni purse? Several location-aware apps are vying to be your mobile concierge. Among the best are Yelp (free), which has a fanatical base of reviewers who weigh in on everything from dry cleaners to karaoke bars. Where (free) lets you scroll through different services (like Starbucks, gas stations and restaurants) and plots them on a Google Map, along with your location. And iWant (free) offers a similar service, but in a streamlined interface with clean black-and-white icons: a martini for bars, a projector for movies, a hanger for clothing stores, and so on. Traditional travel guides are getting into the action, with mixed results. Frommer’s has turned several of its guides, including New York, Paris and London, into iPhone apps ($9.99 each). The e-guides offer many of the same maps, reviews and suggested itineraries as the bulky book. But unlike Yelp, Frommer’s doesn’t take advantage of location-aware technology; you still must look up the suggestions manually, as with a book.Washingtonpost.com’s City Guide app (free) is smarter; it lets users easily navigate through 2,000 bars and restaurants, many with well-written reviews. Unfortunately, it is limited to the Washington area. How to say it A handful of apps seek to lower the language barrier. Lonely Planet ($9.99) offers phrasebook apps in 10 languages including Czech, Italian and Vietnamese. In addition to translating phrases like “I’ll buy you a drink,” in written text, the app also translates it verbally (“Te invito a una copa,” it says in Spanish, in a suave male voice). A different approach is taken by Babelingo ($5.99), which may appeal to those afraid of mangling pronunciations. After choosing a phrase like “Please take me to the airport,” it displays the translation in big bold type, making it easier to show to someone, like a taxi driver. Babelingo offers 300 phrases in seven languages, including Italian, German and Japanese. How to Get Around Numerous subway and mass-transit apps are available for major cities, with the best offering clean design, location-based station finders and service advisories. Worthwhile apps include CityTransit (for New York City, $2.99), Tube London City ($9.99) and iBart (for the San Francisco area, free). Taxi! (free) has a yellow cab-inspired design and finds taxi services throughout the United States based on your location. Just tap one of the companies, and the iPhone dials it for you. It also offers user ratings, whether the company accepts credit cards and, according to the App Store’s description, a prescreened list based on hotel referrals. Cool Tools Until Skype creates an iPhone app, Truphone may be the closest thing. It allows you to make cheap international phone calls over Wi-Fi (about 6 cents a minute to landlines and 30 cents to mobile phones), especially when compared with roaming rates. Some kinks need to be worked out — voice quality can be poor and calls didn’t always go through. How much is that Chinese wardrobe in dollars? Currency (free) is a frequently updated converter for more than 50 currencies. Easier to use is MOMPF Currency Converter (free), which has a funny-looking cartoon for a mascot, and allows you to easily switch among currencies and to store favorites.